Here in Idaho Falls, frigid weather creates havoc with your water supply. When it freezes inside a plumbing line, it expands, increases the pressure inside, and bursts right out of the pipe. As you probably know, you can prevent pipes from cracking during extreme cold by turning on your faucets to allow a slow but steady stream to escape. Another option is to open cabinet doors below sinks to allow warm air to circulate. A third is to keep the indoor temperature about 55*. As your major barrier against the elements, any breach in the structure can lead to expensive repairs. Winter storms bring rain, snow and damaging winds that can rip shingles off your roof. An extensive hole can allow enough cold air to enter and literally freeze the water in any pipes in the attic. Check around chimneys, plumbing vents, and attic vents; replace any failed shingles. Up in the attic, check for air leaks and shield the house heat from escaping. Insulate wherever possible. 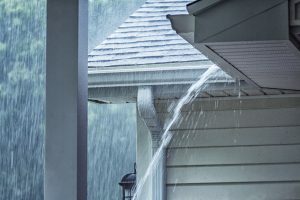 With additional strain from heavy rains or snow storms, make sure that the water and debris being pushed down and away from your house with a properly functionally gutter system. Gutters can clog, then potentially collapse, cause leaks, or other roof damage which can lead to frozen pipes. An undetected water leak can cause extensive damage if the area freezes. Basic leak detectors include sensors you can set up under sinks or near a water heater, dishwasher or refrigerator, sounding an alarm if they detect any moisture. Leak detectors that cost a bit more (typically $50 to $80) will send an alert to your smartphone when they detect moisture or a big change in the amount of water used in your home (signaling a possible leak). Opening under the cabinets will not help if the entire home is cold. Before leaving the home for an extended period of time, completely turn off water flow to your home. This is extremely important if you suspect that the temps can drop below freezing for several days. Heating tape works like an electric blanket for pipes, supplying heat directly to the pipe to keep it warm during cold spells. There are two types– one type turns on and off by itself when it senses heat is needed. The other type must be plugged in when heat is needed and unplugged when not in use; it does not have an automatic or manual on/off switch. Much like a space heater, these products can be dangerous, so you must follow the product’s direction and safety procedures exactly. Pipes in the crawl space, outside walls, and in the attic are vulnerable to freezing and bursting in cold temperatures. Consider low-temperature detectors that send potential freeze alerts to your smartphone. Where possible, seal gaps around holes where pipes run through walls or floors. Pipes can be fitted with foam rubber or fiberglass sleeves to help decrease the chances of freezing. This can be an easy solution for pipes that are exposed but can get expensive if walls, floors, or ceilings have to be opened in order to properly insulate the pipe. Additional caulk or spray foam insulation can also be added within walls and ceilings. Outdoor water features, hot tub, and pool plumbing can cause bursts that may not be noticed for days. Excess water in outdoor hoses can freeze and potentially burst. Drain and turn off all faucets, including any sprinkler systems to avoid problems in your garden. If a pipe does burst in or outside your home, call Restore Rite, available 24 hours a day to clean up minor or major water disasters in and around Idaho Falls. Whether your water damage came in the windows, a broken pipe, or a hole in the roof, you will need professional, certified and experienced help. When a client calls with a water damage emergency, the team responds immediately. These are experts who will assess the amount of damage and then create a plan of action to restore the property as quickly and efficiently as possible. Call (208) 782-4030 or visit restorerite.net for help preventing or cleaning up winter water damage in Idaho Falls, Idaho.